People around the world have been smoking marijuana for thousands of years while also using the hemp plant for everything from fabric and rope to ethanol fuel. Unfortunately, somewhere along the way, a man with a bit of power and enough determination decided pot was wicked, evil and narcotic. He moved mountains to make it illegal worldwide. In the U.S., the struggle continues to this day to overcome the lies and misconceptions about marijuana that the government spent billions to spread. Between 1937 and 1947, the government spent $220 million on the war against drugs. Between 1948 and 1963, the cost of this “war” on marijuana alone escalated to $1.5 billion. From 1964 to 1969 the government spent $9 billion on the war against marijuana, a price tag that continues to rise. The hemp plant, also called cannabis or marijuana, has been used around the world for thousands of years. Sometime around 7000 – 8000 BCE, the first fabric is believed to have been woven from dried hemp weed. Around 6000 BCE hemp seeds were used as food in China. By 2727 BCE, the Chinese documented the use of cannabis as a medication to treat a variety of health problems. They later grew the plant on a large scale for food and fiber. In 1500 BCE Scythians started to cultivate cannabis for weaving cloth. By 700 – 300 BCE the status of the plant had been elevated among Scythian tribes and cannabis seeds were left as offering in royal tombs. Cannabis is called “Sacred Grass” in the Hindu sacred text Arthava-Veda and named one of the five sacred plants of India. It was used as an offering to Shiva and also as a medication in India from 1200 – 800 BCE. The hemp plant was introduced into Northern Europe by the Scythians around 500 BCE Over the next 400 years it spread throughout the subcontinent. Sometime around 500 – 600 CE, there was a mention of the euphoric properties on cannabis in the Jewish Talmud. Between 900 -1000 the use of cannabis spread throughout the Arab world. By the early 1200s, smoking marijuana had become very popular in the region. It was popular among Muslims, who are not permitted to drink alcohol. In 1492, Christopher Columbus brought Cannibis Sativa to America. From 1000 to 1500, the use of marijuana spread further. The French and British grew hemp in the colonies of Port Royal, Virginia and Plymouth. In 1619 a law was passed in Jamestown, Virginia Colony, which required farmers to grow hemp. Marijuana also became a major trade item between Central and South Asia during this time. At Mount Vernon, George Washington grew hemp as his primary crop in 1797. Thomas Jefferson grew hemp as a secondary crop at Monticello. In 1798, Napoleon declared a total prohibition of hemp after realizing much of the Egyptian lower class were habitual smokers of marijuana. Medical Cannabis Sold in the U.S. In 1840, medicines with a cannabis base were available in U.S. pharmacies. Hashish was available in Persian pharmacies. Food and Drug Administration Formed in the U.S. In 1906, the Pure Food and Drug Act was passed in the U.S. and the Food and Drug Administration was formed. This was the first time drugs had any government oversight. In 1908, Henry Ford made his first Model T with hemp plastic. The car was fueled with hemp ethanol. Cannabis Prohibition Begins in the U.S.
California passed the first state marijuana law in 1913, but it was largely overlooked because it specifically addressed “preparations of hemp, or loco weed.” Other state anti-marijuana law were passed in Utah in 1915, in Texas in 1919, Louisiana in 1924 and New York in 1927. In 1928, the recreational use of marijuana was banned in Britain. Marijuana came into the southwestern United States in the early 1900s with Mexican migrants who entered the country looking for work. Laborers enjoyed smoking marijuana after hard days in the fields. The local European Whites believed that marijuana gave the Mexicans “superhuman strength” and turned them into killers. In 1914 in El Paso, some white men were allegedly attacked by a Mexican man who had “gone crazy” on supposedly “killer weed.” Following the incident, the El Paso City Council passed an ordinance banning possession of marijuana. The law was more about controlling the local Mexican populace than controlling marijuana, as the predominantly white constituency did not like the Mexicans or their customs. The federal government gave control of illegal drugs to the Treasury Department, which created the Federal Bureau of Narcotics. Harry J. Anslinger, a prohibitionist, became the first commissioner of the Federal Bureau of Narcotics in 1930. He held the position until 1962. Anslinger declared war on drugs and effectively shaped America’s views about marijuana. In the 1930s, bales of marijuana (called muggles), tea and reefer were arriving in southern port cities such as New Orleans via West Indian sailors. Jazz musicians travelled north and took marijuana with them, making reefer parties popular in many major cities along the way. When it became too expensive for the Bureau to pursue all drug cases on its own, Anslinger tirelessly campaigned and lobbied for the passage of the Uniform State Narcotic Act, which would require states to police drug trafficking and commit state resources for the war on drugs. Only nine states initially agreed, so Anslinger launched a nationwide media campaign declaring marijuana causes temporary insanity. The ads featured young people smoking marijuana, then behaving recklessly, committing crimes, killing themselves and others or dying from marijuana use. The propaganda campaign was a success and all states signed on. In 1936, the propaganda film “Reefer Madness” was made in an attempt to scare young Americans away from using marijuana. 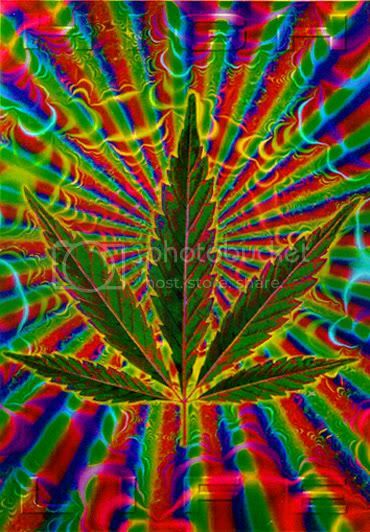 The film directly stated that smoking marijuana causes insanity. In the film, a woman smokes marijuana, then laughs while a man who has smoked marijuana beats a third person to death. Anslinger’s propaganda campaign convinced the public that marijuana was in fact a “killer drug.” Hysterical voters demanded action without seeing or hearing about any scientific research about marijuana or proof of the supposed harm that comes from smoking it. On October 2, 1937, without any open debate, scientific enquiry, or political objection, President Roosevelt signed the Marijuana Tax Law. The law made it illegal to possess marijuana in the U.S. without a special tax stamp issued by the U.S. Treasury Department. In theory, growing and selling marijuana was still legal as long as you bought the government tax stamp for $1.00. However, the Treasury Department did not issue any tax stamps for marijuana, effectively making growing, selling and possessing marijuana illegal under the Act. On the very day the Marijunana Tax Stamp Act was passed, the FBI and Denver police raided the Lexington Hotel and arrested two people: Samuel R. Caldwell and Moses Baca. Three days later, Caldwell, a 58 year old unemployed laborer, became first person in the U.S. to be convicted of selling of marijuana without a tax stamp. He was sentenced to four years of hard labor in Leavenworth Penitentiary. Presiding Judge J Foster Symes, had previously stated that he considered marijuana to be the worst of all narcotics and vowed to impose harsh sentences for violations of the Marijuana Tax Act. Caldwell was also fined $1,000 for the two marijuana cigarettes that were found in his possession. Baca, who was his customer, was found guilty of possession of marijuana and was sentenced to 18 months in prison. Both men served their full sentences. Caldwell died a year after his release. Fiorello La Guardia, the mayor of New York, spoke out against the Marijuana Tax Stamp Act, saying the majority of Americans did not want the law and it should be abolished. He was skeptical of the government’s claims and propaganda touting marijuana as a dangerous, evil, killer narcotic. La Guardia commissioned a six-year study by a group of 31 impartial scientists. After an in-depth scientific analysis, researchers concluded that marijuana does not cause violent, psychotic episodes, is not responsible for anti-social behavior, does not cause uncontrollable sexual urges and does not alter a person’s core personality structure. In 1944, La Guardia’s commission published a report of the findings, scientifically disproving all of Anslinger’s propaganda and outlandish clams about the effects of smoking marijuana. Once again, Anslinger used his muscle with the press to discredit the report and destroyed every copy of the report he could. He then successfully blocked any further research by restricting the availability of marijuana. Anslinger then began digging up dirt on anti-prohibitionists, and took special aim at the entertainment industry. Hollywood buckled under the pressure and gave Anslinger personal control over movie scripts that mentioned drugs. Any movie that Anslinger felt sent the wrong message was banned. In the 1950s, Anslinger used a new scare tactic by producing propaganda claiming that marijuana was a gateway drug to heroin. Americans were concerned about a growing number of teens using heroin, so Anslinger used that concern as an opening to push his marijuana message once again. The media circulated the myth that most heroin-addicts were led down the path to disaster by marijuana and that most marijuana users become addicted to harder drugs. In 1951, Anslinger supported an amendment to the Harrison Narcotic Act, introduced by Senator Hale Boggs, that would dramatically increase mandatory drug sentences. Boggs said that harsh sentences were needed for all drug offenses because drugs were a tool of Communist China. Truman signed the Boggs Act. On a roll, Anslinger then pushed for even tougher drug laws and got President Eisenhower on board. The Narcotic Control Act put marijuana in the same drug class as heroin and added more severe penalties. A first conviction of possession of marijuana was punishable by a mandatory two to 10 years in prison. State drug laws also toughened up. In Missouri, a second conviction for possession of marijuana was eligible for a life sentence. Propelled by his success in criminalizing marijuana and adding teeth to drug laws, Anslinger set his sights higher and went to the U.N. In 1961, Using the then-considerable influence of the United States, he convinced over 100 countries to consolidate their drug agreements into a single convention that would make marijuana illegal around the world. Anslinger was honored by JFK at his retirement in 1962. In the 1960s, anti-drug propaganda was widely distributed with the message that smoking marijuana would not only make you lazy and irresponsible, but that you were also out of touch with reality and a threat to national security. Dr. Leo E. Hollister, the associate chief of staff and the Palo Alto Veterans Hospital in California conducted a study of the effects of marijuana and concluded that smoking marijuana makes people happy, friendly, intoxicated and sleepy. He found no reason to believe that smoking pot made people aggressive or led to addiction to other drugs. Marijuana Culture is Born in the U.S. Despite the propaganda, marijuana increased in popularity on college campuses across the country. Students spoke out about their marijuana use and gradually changed the public’s perception of the drug. By 1965, an estimated 1 million Americans had tried marijuana. With events like Woodstock and popular groups such as the Grateful Dead, smoking marijuana became a part of pop-culture. By 1972, approximately 24 million Americans had tried marijuana. Nixon won the election on a campaign-platform for restoring law and order in the country. Since most criminal violations are handled by the states, he found that drug laws could allow him to be most effective. He launched Operation Intercept. Two thousand customs agents were deployed along the Mexican border in a military-style search and seizure mission to stop the flow of marijuana. Virtually no marijuana was found among the 5 million people who were searched and after three weeks the operation was abandoned. Nixon then decided to concentrate on police training to fight the war against marijuana. Almost immediately, marijuan-related arrests and convictions increased dramatically. Twenty-five year old Vietnam veteran Don Crowe was convicted of selling marijuana to an undercover cop. It was his first offense and the amount of marijuana was under an ounce. He was sentenced to 50 years in prison. There was a push for marijuana reform as the public began to realize that marijuana laws were not effective and that the penalties were too harsh. A big wake-up call for many middle-class people was the fact that their own kids were the top demographic for arrests and prosecution. At a Senate hearing on marijuana legislation in 1969, Dr. Stanley Yolles estimated that 8 to 12 million people in the United States smoked marijuana and urged Congress to abolish mandatory minimum sentencing for drug offenses. Congress took the advice and passed Controlled Substances Act which eliminated mandatory minimums and reduced penalties for possession of marijuana. Nixon continued his anti-drug crusade. He enlisted celebrities and used the media to spread the message, as well as funded a new study to identify the dangers of marijuana. Researchers found that using marijuana did not lead to crime, and that laws were selectively enforced and police targeted people with a certain look. They also found the cost of attempting to enforce marijuana laws far outweighed any deterrent effect of that enforcement. In 1972, The National Commission on Marijuana and Drug Abuse released a report which would be the most comprehensive study on marijuana ever done. The commission took the position that smoking marijuana in one’s own home should not be criminalized. Nixon threw the report in the garbage can without ever reading it. Nixon did not give up, and pushed forward with his war against marijuana. In 1972, all of the government’s existing drug agencies were combined into one super-powerful agency, the Drug Enforcement Agency. The DEA was given the authority to enter homes without knocking, use wiretaps and gather intelligence on anyone. In the 1970s, smoking marijuana became popular among middle-class adults, and activists revamped the movement for decriminalization. 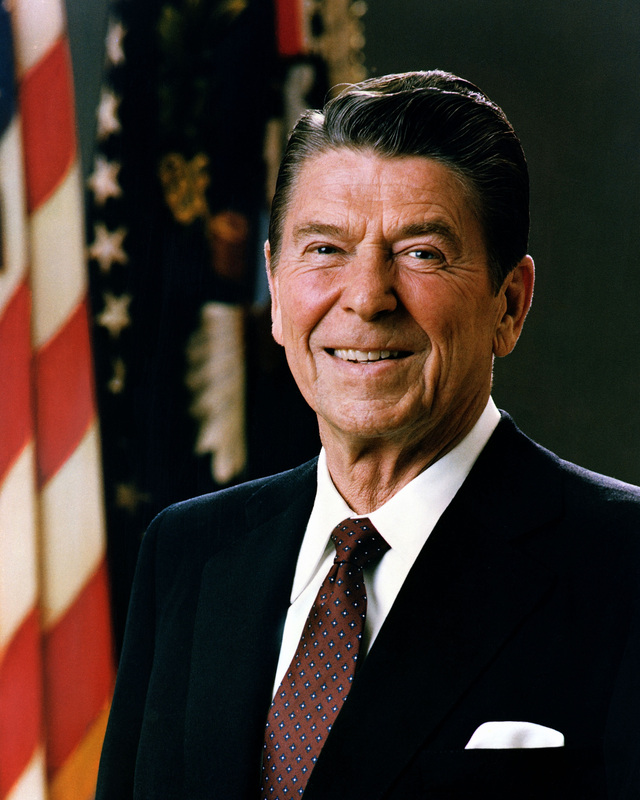 In the 1980s, the Reagan administration launched its own war on drugs. An average of one person every 38 seconds was arrested for violating marijuana laws. Judge Francis Law, a DEA administrative law judge, held hearings on the medical benefits of marijuana. He found that marijuana has a clearly established medical use and recommended that it be reclassified as a prescription drug. However, no action was taken to reclassify marijuana based on Law’s findings. Although Canada became the first country in the world to legalize medical marijuana in 2003, the U.S. Federal Government has been resistant to changing marijuana laws. California passed Proposition 215, the first U.S. medical marijuana law, in 1996. Today Alaska, California, Colorado, Hawaii, Maine, Maryland, Michigan, Montana, Nevada, New Mexico, Oregon, Rhode Island, Vermont and Washington have passed medical marijuana laws. Several other states are also considering legalizing medical marijuana. On May, 18, 2009, the U.S. Supreme Court declined to hear a dispute over California’s medical marijuana law. Opponents of California’s Compassionate Use Act argue that the law undermines federal drug laws. Last year, a California appeals court ruled that the state’s medical marijuana law does not supersede federal drug laws.